Last weekend was already the last event for this year, Giessen, for me the first time here and I like the track a lot. So hopefully we can ride here again next year. -the C110 racer for the oldtimer class. 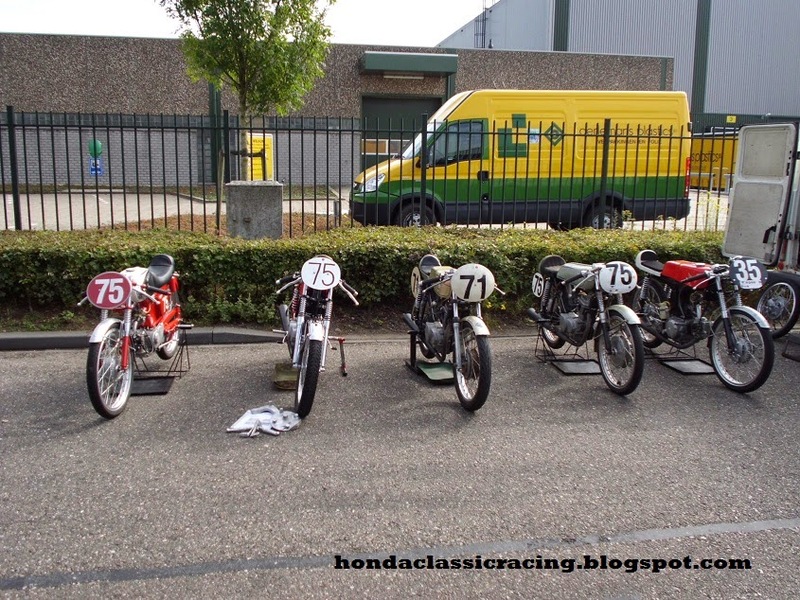 -CB50 racebike we overhauled for someone to do a couple of test laps in the oldtimer class, luckaly it behaved all good so I could jump on my C110 after 2 laps en do the rest of training with that. -My dad's old CB50 racer that we had a friend ride in the 50 class. -My own CB50 that didn't run very well in this experimental phase, took a little getting used to again to rev between 12.500 and 14.500. -and last but not least, my RSC90, reliable and quick, might just open up the engine this winter to see why it is as quick as this, because I can't really believe how it's doing so well.